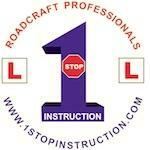 I had an amazing time learning to ride with 1 stop instruction. My instructer was clear, taught in a way that was easy to pick up... considering I never touched a bike in my life. I was very nervous but I had a great teacher and After a few hours I was already riding on the roads, passing cars and stopped traffic. Was unreal. Thank you for your time and patience! I had the best time of my life!